The 2018 Columbia County Plat Book is now available to pick up at the Columbia County UW- Extension Office, located at 112 E. Edgewater Street, Room 212, Portage, WI. The price of the new Plat Book is $30.00 and checks can be made payable to: CC 4-H Leader’s Association. 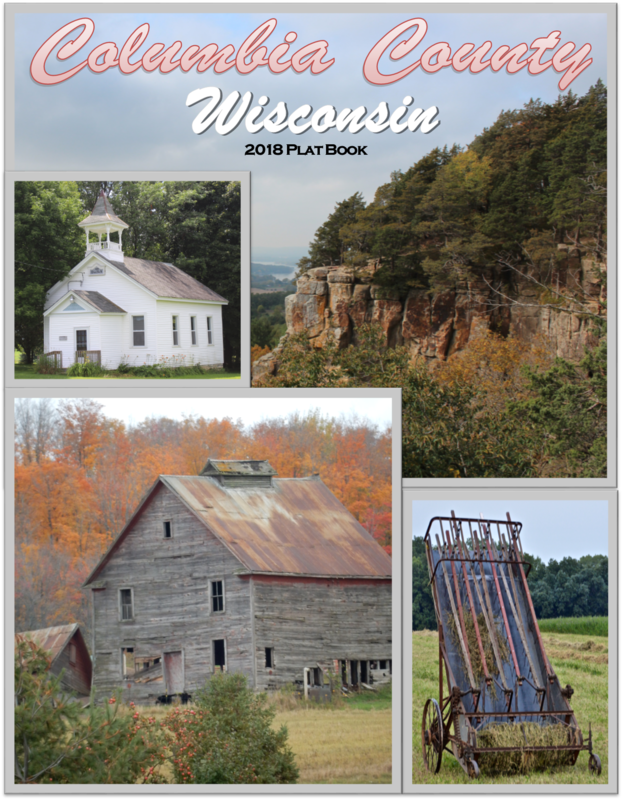 The 2018 Plat Book is a 4-H Fundraiser. If you’d like to mail a check in and have your Plat Book mailed to you, the additional cost is $2.50. Please mail your check to: CC 4-H, Jennifer Evans, 112 E. Edgewater Street, Room 212, Portage, WI 53901. (last updated 5/30/18) More Information will be coming soon!! 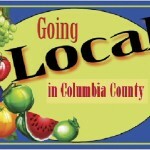 Click on the Brochure to see Farmers Market locations, Food Resources, and more 2016 Columbia County Local Foods Brochure (PDF, 2 pages, 103 KB) Also visit the Wisconsin Local Food network for more Local Food events and information http://wilocalfood.wordpress.com/. See one of the recently added quilts to the Columbia County barn quilts trail! It is located at the Historic Indian Agency House, 1490 Agency House Road, Portage. 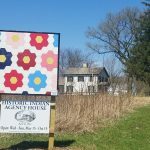 The house was built in 1832, and the honeycomb pattern was commonly used in quilting with the colors turkey red and indigo blue. See more barn quilts around Columbia County.